What did you think of the Hugh Fearnley Whittingstall's new show War On Waste which was on BBC1 last night? I didn't see it when it aired but heard about it via Facebook this morning when I discovered most of my feed filled with calls to boycott Morrisons. Wondering what all the fuss was about I loaded it up on BBC iplayer and watched it over breakfast. Morrisons did not come off well as they appeared to bully one of their suppliers of parsnips into not participating in the show which highlighted the ridiculous aesthetic standards that parsnips have to meet to be sold in store. My newsfeed seemed more concerned with the bullying tactics of the supermarket giant than the stumpy unsold parsnips which everyone agrees they would buy. It's great that Hugh can use the prime time TV platform to highlight the waste crisis and I can't deny that that episode definitely captured a lot of attention. The ugly veg situation has been addressed before with the 'wonky' food campaign but I haven't seen any lumpy veg in the supermarket since. 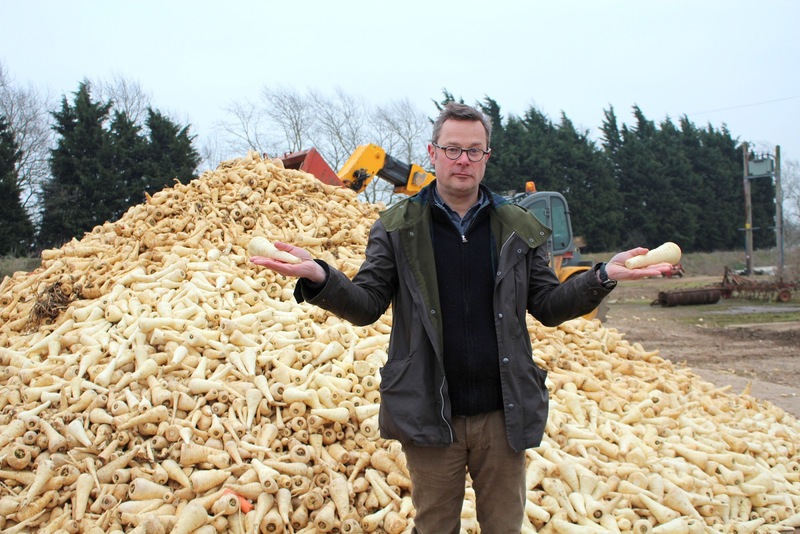 War On Waste highlighted the plight of the farmers that have to deal with the waste that the supermarkets don't want, it got everyone whipped up but now what? Boycotting Morrisons isn't going to help the farmers that supply them. The show was very formulaic with Hugh winning over the sceptic from the local cafe. She didn't believe her recycling was recycled until she saw a plastic zipper jacket made from plastic bottles but then she was converted. There were some other feel good bits with a pair of fluffy slippers being rescued from the landfill and being happily rehomed. Another lady dubiously took her bacon back indoors to cook after Hugh accosted her at her wheelie bin and showed the light. KFC's PR team did have the sense to show up for the interview they were invited to and tried to spin their own waste policy into more than it was. Waste from six of their 800+ stores was being given to local charities with hundreds of tonnes of chicken still being binned annually. They pledged to change their ways and got off lightly. The nutritional value of their waste being given to the most needy and vulnerable members of society wasn't questioned. One fight at a time, it's a tiny step in the right direction. I was surprised that people needed recipes to use up their waste but there's no question that food is being wasted the food waste figures speak for themselves. Hugh's heart is in the right place and he seemed genuinely irritated about advising 100ml of orange juice for the smoothie recipe when he saw it being meticulously being measured out. 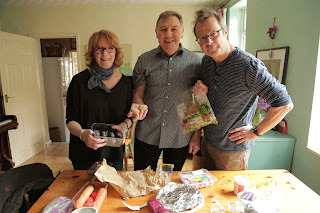 Still this cooking segment felt off, I'm sure the couple knew they could blitz up the waste veg to make soup. The question is why don't they normally do it? Why do people have fridges full of food going off that they just forget out about. Is food too cheap in the first place and that's why they can afford to throw it away? There's more to come from the series so perhaps we'll find out. I'll be tunning in next week to find out what happened to the Hammond family farm.